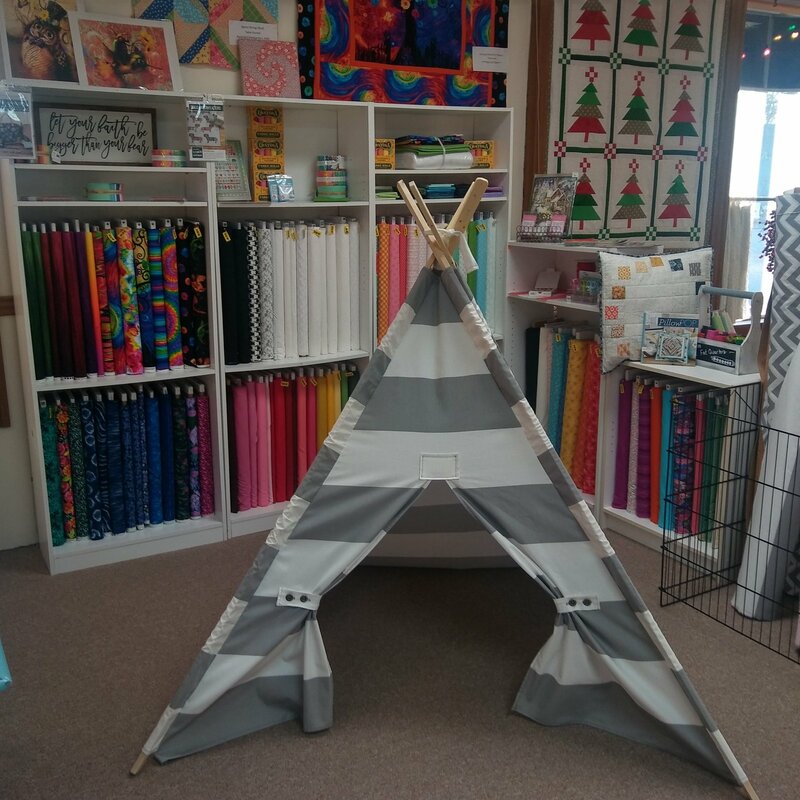 This teepee is constructed from Premier Prints 100% cotton twill. The teepee measures approximately 54" square at the base and stands approximately 5' tall when fully upright. Sanded pine poles are included. Free shipping.